Earth On-the-Air (EOA) began in 1988 as Earth On the Air Radio Works (EOARW) producing the award-winning, nationally-syndicated Earth on the Air radio magazine. At its peak the radio show was distributed to 73 stations across the U.S. and Canada. In 1996 EOARW became Earth On-the-Air Independent Media (EOAIM) and began working with local independent media producers. Individuals affiliated with a number of media activism organizations and projects, including public access television, community radio, and documentary filmmaking worked together on a series of media literacy projects. 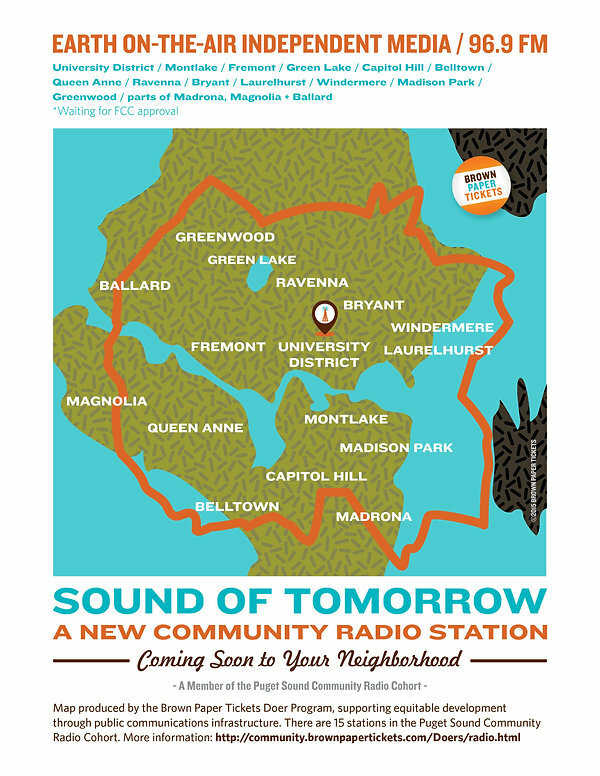 In November 2013 EOAIM applied to the FCC for a Low Power FM license with the vision of building a 24/7 News and Public Affairs station in the University District in Seattle. On April 28, 2015 EOAIM was granted a construction permit by the FCC for the station. EOAIM is working with local grassroots organizations to help them produce regular radio shows/segments and contribute content for the stations news segments.